Finally, I got to show my parents that 14-year-old me was right. 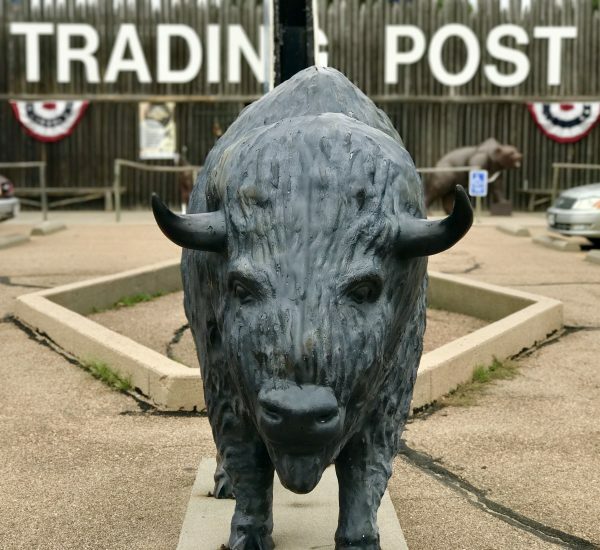 On the second day of our trip across Nebraska this summer, we woke up at our hotel, mere steps from the place I’d wanted to go when I crossed the state with mom and dad 30 years earlier: Fort Cody Trading Post. This life-sized statue of a bison greets visitors to the Fort Cody Trading Post in North Platte, Nebraska. 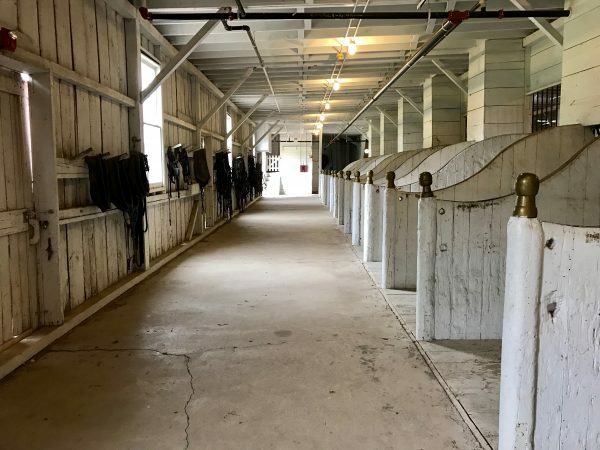 Fort Cody has all the things that grab kids’ attention: big, colorful signs, soldiers lined across the stockade wall, a statue of a bear ready to take a bite out of someone at the entrance and a two-headed calf displayed inside. When I suggested we go there this time (now at age 44, mind you), they reacted with what I’ll call reserved enthusiasm which basically translates to: “We’ll humor you” this time. 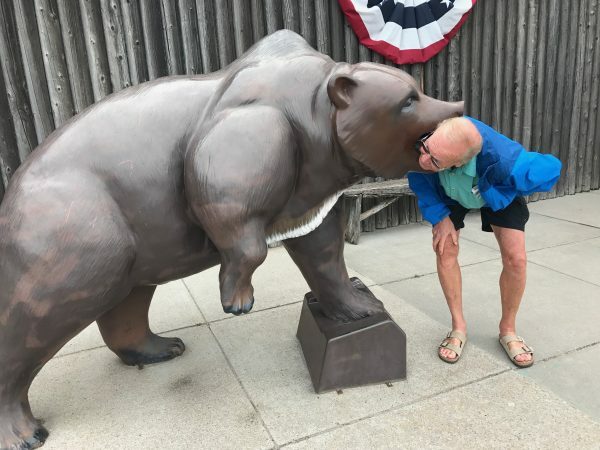 My dad falls “victim” to the bear in front of the Fort Cody Trading Post. 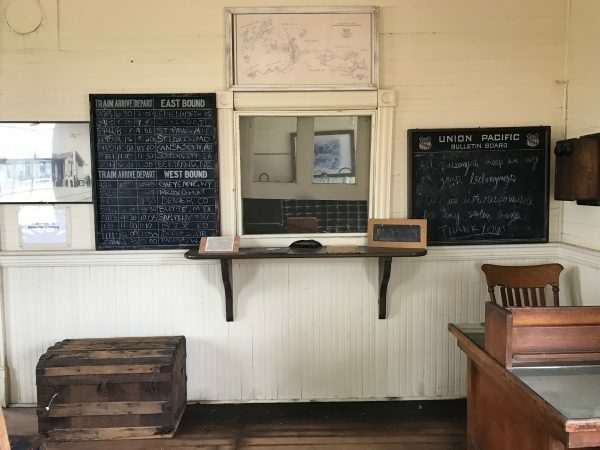 Ann, Meghan and I had gone to the Fort Cody Trading Post the summer before, and had been impressed enough that we wrote this blog post about our experience. Now I got to share a stuffed two-headed calf with my parents — who could ask for anything more? See? 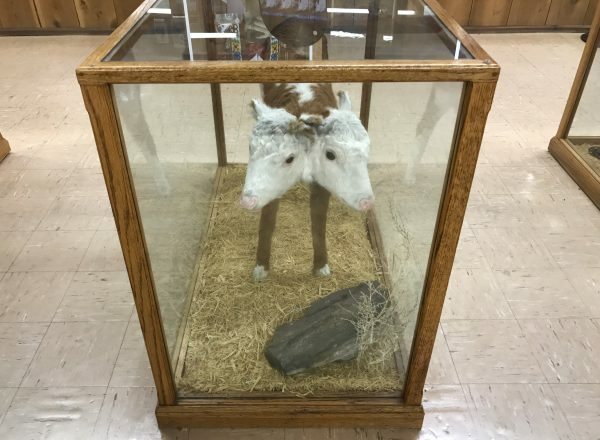 There really IS a two-headed calf inside the store. We wandered into the store, my parents surprised (I think) that it was actually a pretty neat place. 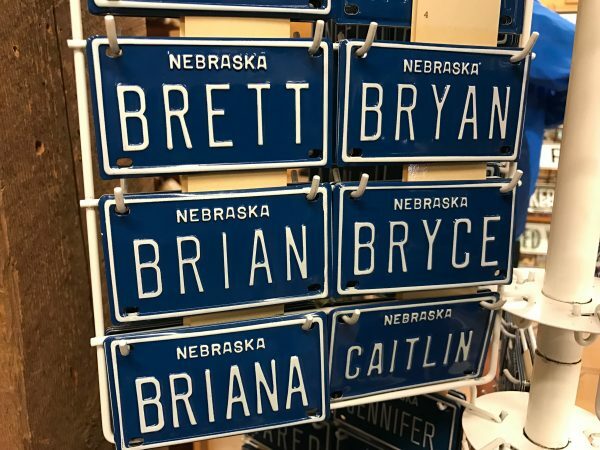 My mom and Ann found the section of gifts from Nebraska and began Christmas shopping while my dad wandered the store with me, checking out all the little doohickies and odds and ends that pack the display floor. We tinkered with slingshots and the Wyatt Earp rubber band gun. Never say we didn’t help you find that Wyatt Earp rubber band pistol you didn’t know you needed. 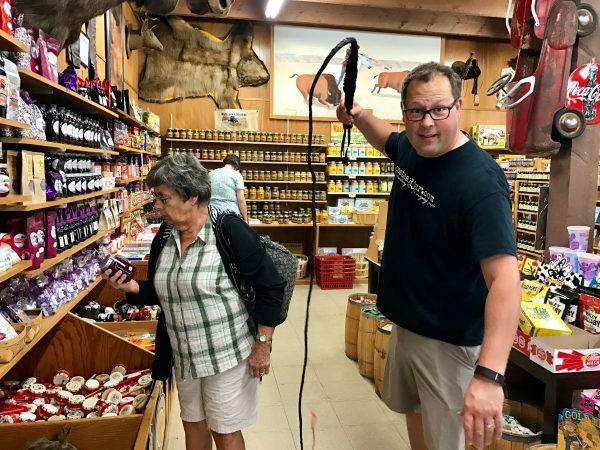 I even got to hold a bullwhip, and while I was tempted, I respected the store’s request that it not be cracked inside. My mom pretty much ignored me as I acted like a 14 year-old. 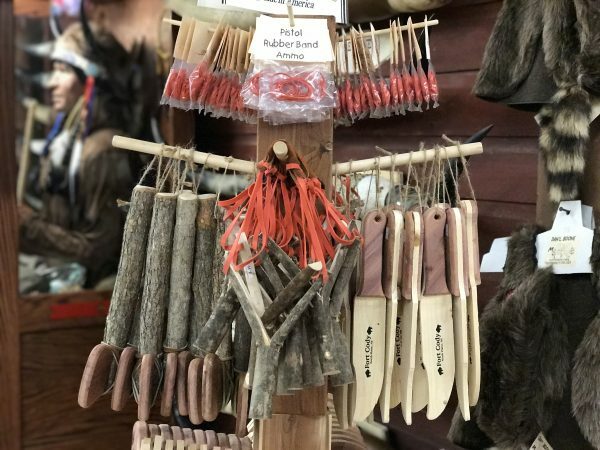 They had all the great things you remember from your childhood–boomerangs, wax bottle candy, Pop Rocks, bicycle license plates and even a Hillbilly 401K Starter. I mean, just look at this stuff! 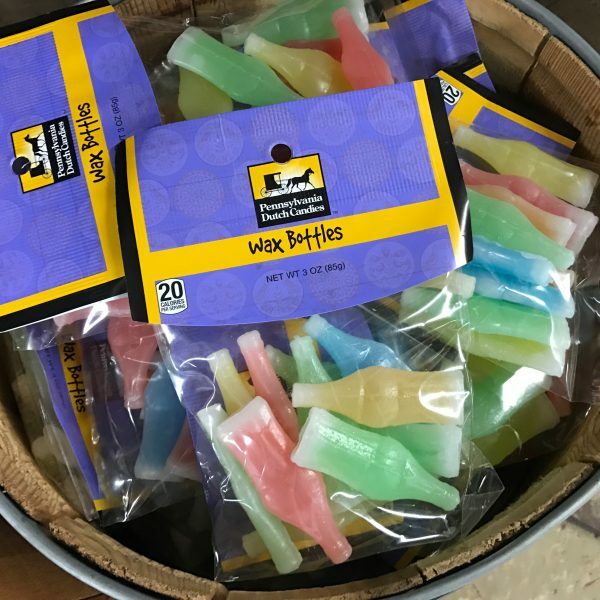 Remember wax bottle candy? Why did we like these things? 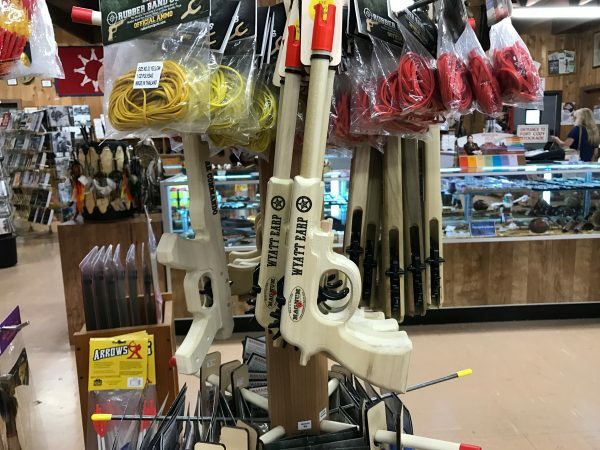 Slingshots, wooden hatchets and wooden knives. What a time to be alive! 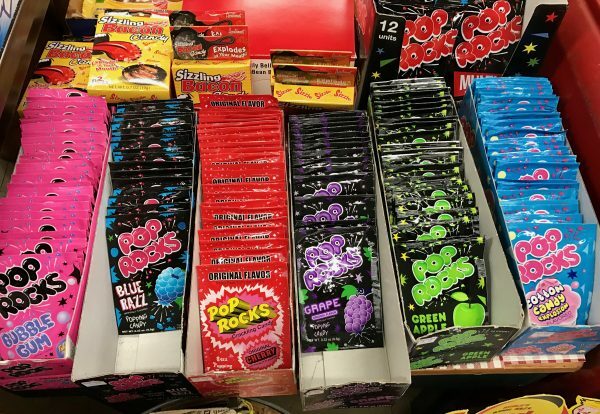 A large selection of pop rocks on the shelves of the extensive vintage candy section of the Fort Cody Trading Post. They have a huge selection of vanity bicycle license plates to help you pimp your two-wheeled ride at the Fort Cody Trading Post. 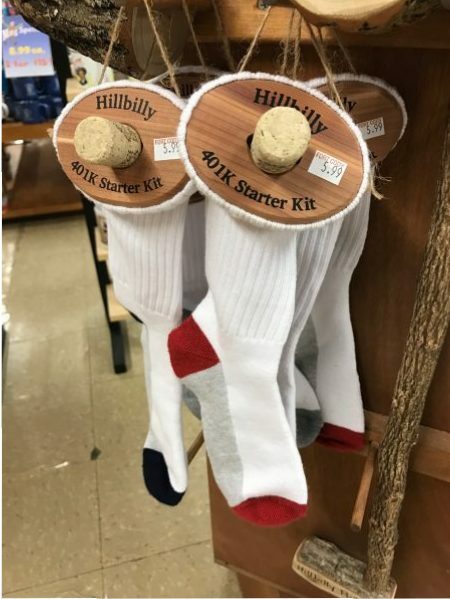 For only $5.99, you can start a Hillbilly 401K–far less than the management fees for other investments these days. I asked at the person at the counter what time the miniature Wild West Show ran, and was told every half hour, if they remember to start it. At the appointed hour, we made our way over to the show, eagerly anticipating seeing the 20,000 hand-carved miniatures come to life. The appointed hour passed and the show sat silent. So I went and asked about it and the nice lady at the counter (now embarrassed from having forgotten it after just having told me they sometimes forget) went to start it up. 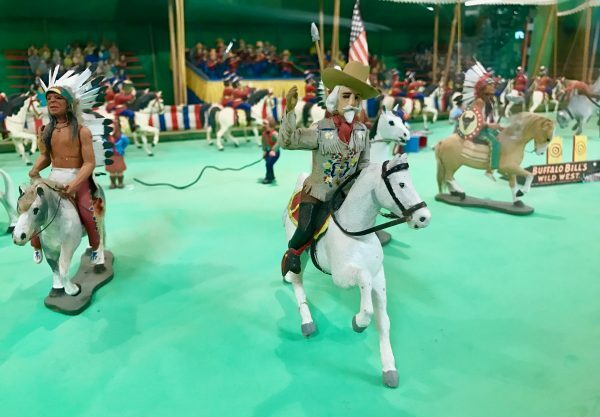 Buffalo Bill’s Wild West Show is worth watching at the Fort Cody Trading Post. If you go and watch the miniature Wild West Show, at first you’ll likely think, “Wow, this is it? This is all it does?” while feeling slightly under impressed. But then you’ll begin to reflect that each and every one of the 20,000 (twenty thousand!) figurines was hand carved and the mechanism was built by some guy basically as his hobby. Buffalo Bill himself, in miniature. Note the detail in the hand carved figurines, and then remember there are 20,000 of them. And then you’ll turn around, realizing the sheer size of the thing, and you’ll find yourself quietly impressed, secure in the knowledge there is probably no way you could ever build something like that. And yet here it is, and you get to see it for free. Roadside America at it’s best. 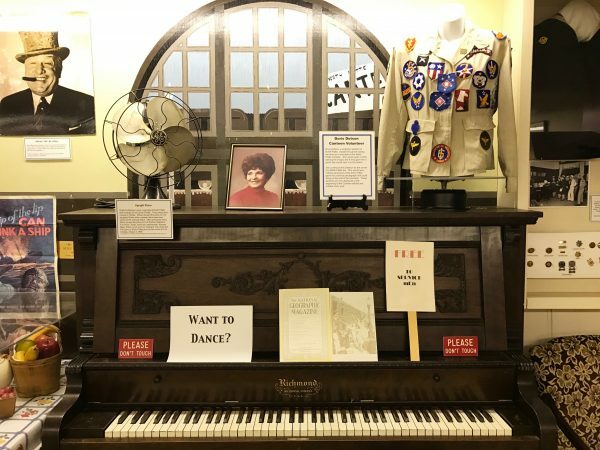 After our 45-minute visit and after the clerks had carefully wrapped all of our purchases, we headed into the big town of North Platte, our sites set on Scout’s Rest Ranch and the Lincoln County Historical Museum. The barn at Scout’s Rest Ranch. We started with a tour of Scout’s Rest Ranch. 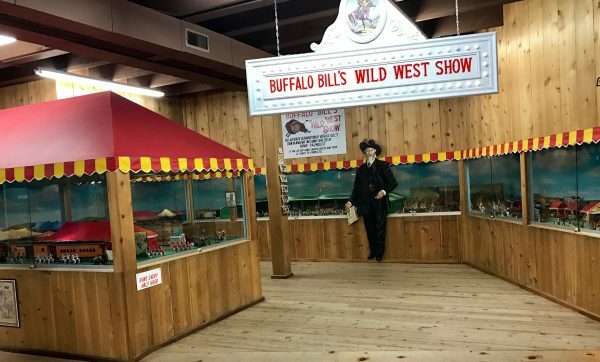 Buffalo Bill’s Wild West Show (which had up to 1,200 performers at a time and which we had just seen in miniature) was wildly popular and toured all over the United States as well as Europe between 1883 and 1913. The show was also pretty profitable. 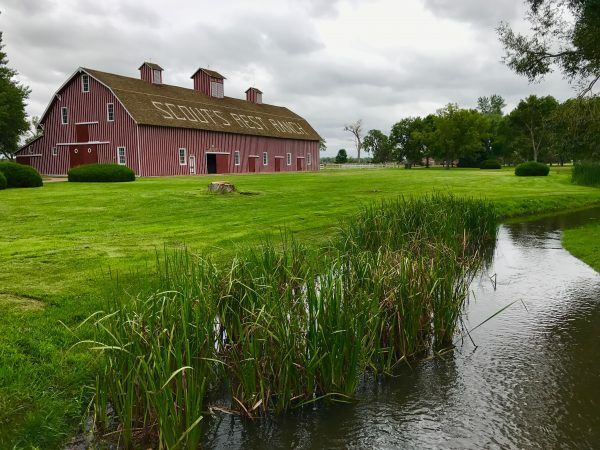 So, Buffalo Bill built Scout’s Rest Ranch near his home in North Platte — sort of the ultimate “man cave” of his day — a place for when he wanted to get out of town and relax. 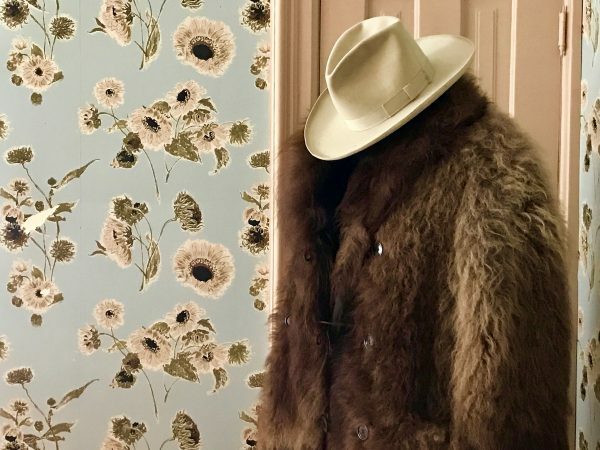 We followed the self-guided tour through the inside of the home first downstairs, then up, checking out the furniture and his buffalo coat and being a little overwhelmed by the wallpaper that was popular back in the day. 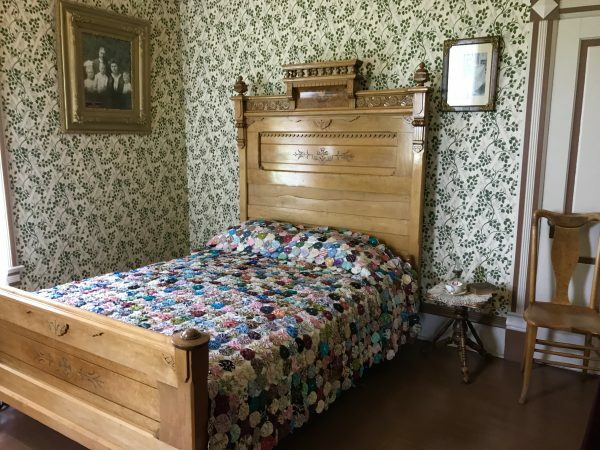 A bedroom in Scout’s Rest Ranch in North Platte. A buffalo skin coat worn by Buffalo Bill on display at Scout’s Rest Ranch. The inside of the barn at Scout’s Rest Ranch. Imagine what it would be like if it were still full of horses. Yee-haw! Steve is an expert rider from way back. From Scout’s Rest, we drove around the corner to the historical museum. While we enjoyed looking at other displays, we were especially interested in the exhibit on the North Platte Canteen. 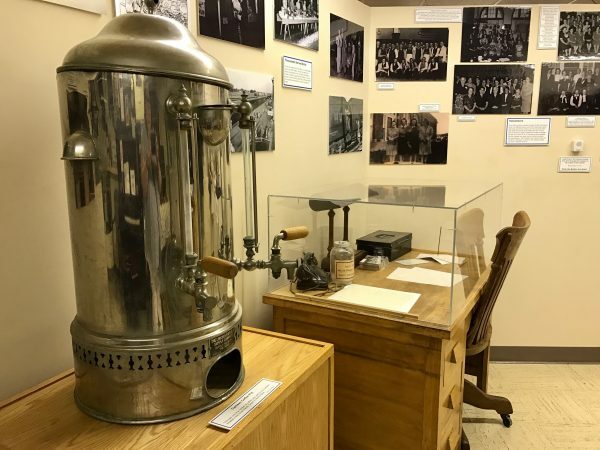 Memorabilia from the North Platte Canteen, including this silver coffee pot. Early in WWII, the town of North Platte caught wind that a group of Nebraska National Guard soldiers would be stopping at the local train station on December 17, 1941, on their way to be deployed. The town got together, made sandwiches, chicken, pies, cookies and other refreshments as well as gifts to give to their home state heroes when they came through. While they waited for the train to get to the station, they learned that they weren’t Nebraska soldiers, after all, but actually soldiers from Kansas who would be on the train. 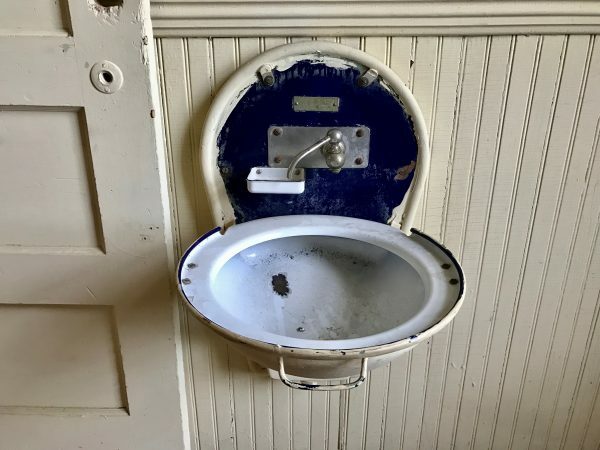 The folks from North Platte didn’t let that deter them, and when the train stopped, they welcomed the Kansans as their own giving them everything they’d prepared. Realizing how much they’d lifted the morale of the soldiers, they quickly decided they should meet every train that came through town. An organization formed soon thereafter, and the people of North Platte and surrounding communities met every troop train that came through the city for more than five years, from Christmas day, 1941 until April 1, 1946. Over that time they received no government funding for this project — everything was a donated. By the end of the canteen, it had served over 6,000,000 servicemen and women on their way to war. 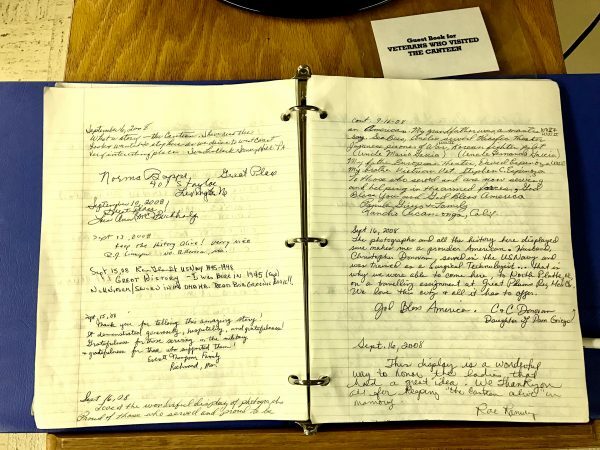 Some of those people have come back to North Platte over the years, and have written their memories of the Canteen in a notebook at the museum. This notebook was filled with memories and thank-you notes from veterans who had visited the North Platte Canteen. The museum also has a display of photos of servicemen in uniform. They are from a collection from a lady named Doris Dotson, who owned a local bar (Doris’ Tavern) in North Platte for years. 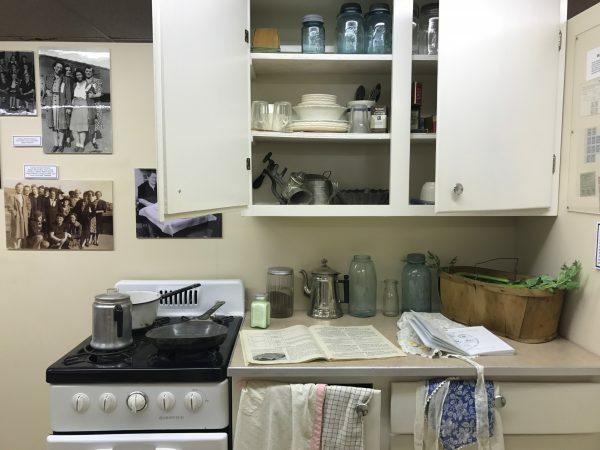 Doris Dotson played a key role in canteen and this display was in her memory. She worked at the canteen, and she never lost the soft spot in her heart for those who serve in the military. At her bar, she offered a free drink to any soldier who would give her a copy of his service picture to hang on the wall. Doris’ Tavern is long gone, but her pictures remain at the historical museum where they are displayed on a rotating basis. Also displayed is a jacket that Doris wore while she worked at the canteen. 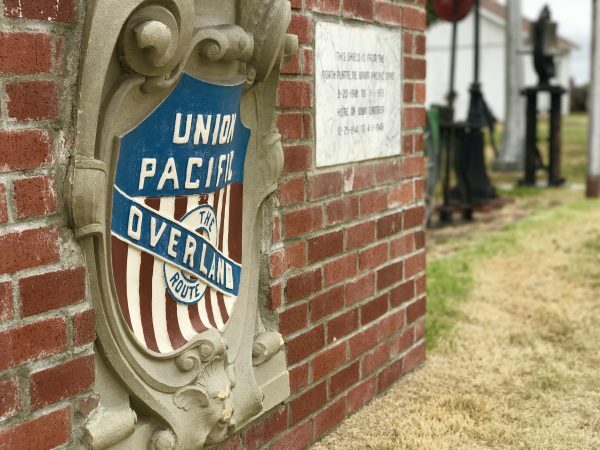 Outside the museum, there was an entire village with small houses and buildings from the area, as well as displays from the Union Pacific Railroad. 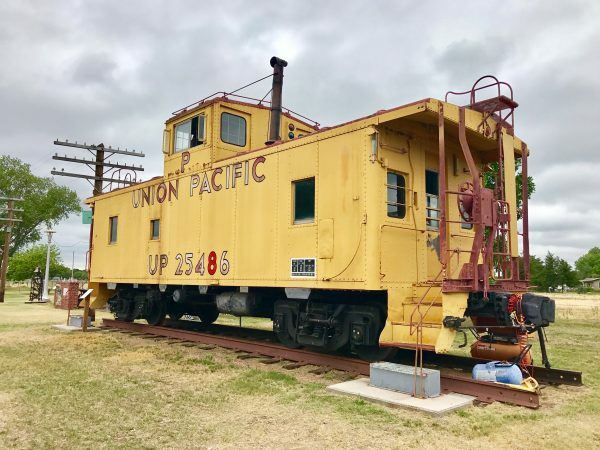 A Union Pacific caboose is situated in the museum village. A look inside the Union Pacific Brady Island Depot (c.a. 1885). I’d never seen one of these antique water fountains before our visit to the Lincoln County Historical Museum. The shield is from the North Platte Union Pacific Depot and home of the North Platte Canteen. 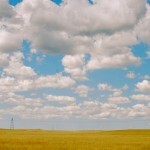 We’d had a great morning in North Platte, and were now ready to head north, across the Sandhills. Our sights were set on the Nebraska National Forest at Halsey. Fourteen year-old me couldn’t wait to climb the observation tower there. Up next, we get off the interstate and head north through the Sandhills to Valentine. 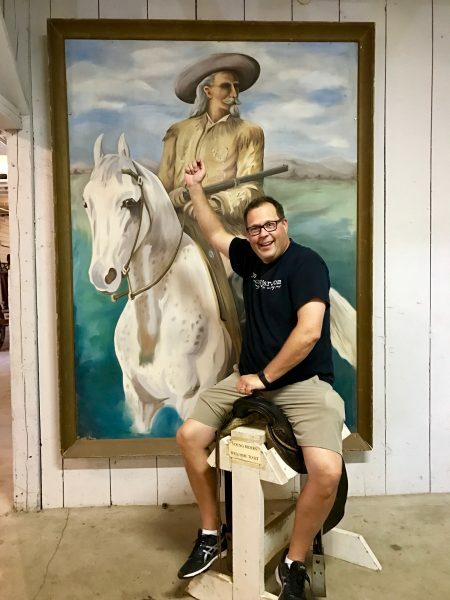 Thanks for a fun post– i always have to visit Fort Cody when i stop at North Platte. Like you, my first time seeing the miniature show, i remember thinking how hokey it was, run down, coulda been so much more…. Then, also like you, really looked at the figures, realized what time and skill was involved, the attention to detail, and having it on display for free. And it still operates after all this time!